A legend in the realm of music and makers of some of the world’s most coveted guitars, Fender are a name recognised and revered across the globe. 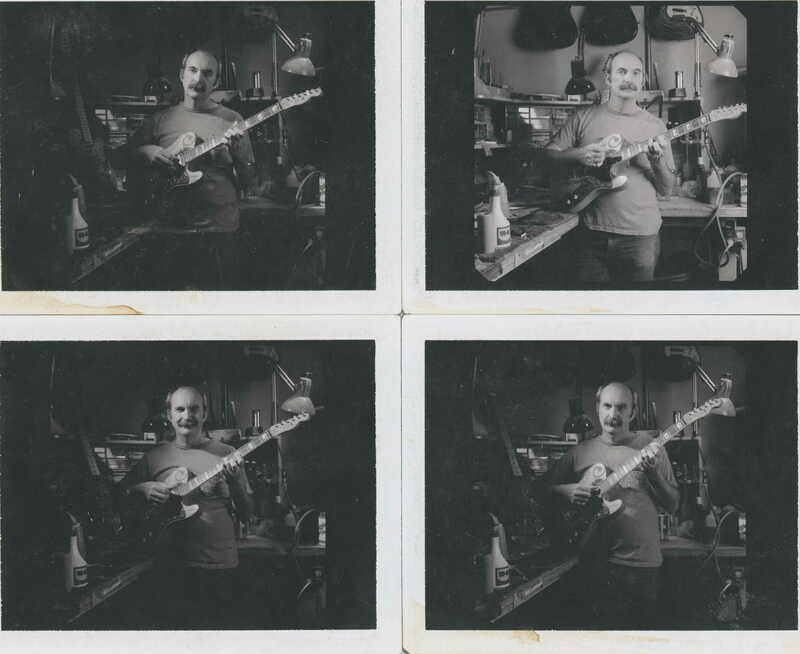 However, back in 1987 in the face of declining profits, a renegade experiment was born which charged itself with the task of creating guitars plucked from the imaginations of those who wanted more from their instruments than the standard assembly line models could provide. Director Ross Haines’ The Dream Factory, celebrates the Master Builders who ate, slept and breathed the Fender Custom Shop into being. DN invited Ross to tell us how he navigated the rich thirty year history of one-offs and special editions, for this documentary which hails the creative genius of the maverick innovators whose enthusiasm and love of the job arguably made Fender the iconic company it is today. The concept came about while we were scouting for another shoot at Fender’s headquarters. The Factory itself is an audiovisual wonderland full of vintage machinery and people enveloped in every different detail of making guitars. Every guitar part is made in-house, from the screws to the knobs all in more or less in the same way it’s been done since the company was founded. We met some great characters, people who had been working at the company their entire lives and even an employee who’d been there for 60 years, but refuses to retire because he loved his job so much. It could very easily be argued that the custom shop crew’s raw passion really revitalized the entire company. Just being in the factory opened us up to potentially hundreds of great stories to tell. The timing was such that it also happened to be the 30th Anniversary of the Custom Shop. Deemed the Dream Factory by some, the Custom Shop is where a small group of elite master builders make some of the most incredible guitars in the world. This is the place where anyone is welcome to order a custom guitar, but also where some of the very best from Clapton to Johnny Cash come when they need something special. 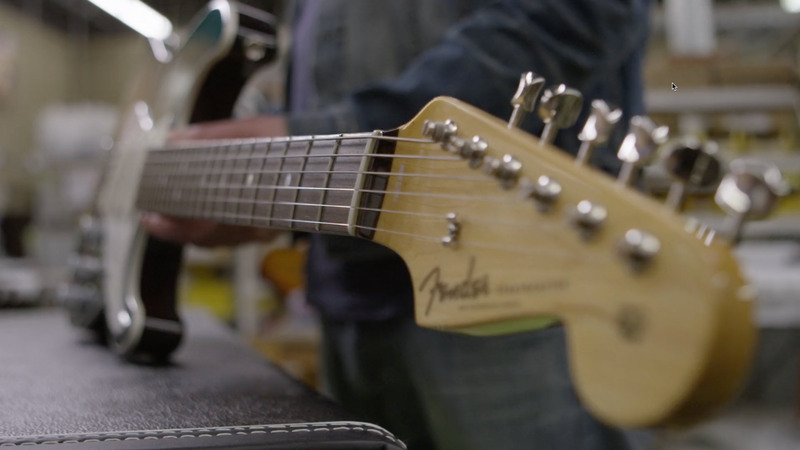 Executive Producer Nate Morley and I were really fired up on the idea of a short doc so we partnered, pitched it, and Fender liked it enough to let us run with it. We started where many docs start, with research and getting on the phone doing pre-interviews. In the beginning, there’s that initial new project rush of excitement, but then often times you dive into it and you realize there are limitations or maybe things aren’t necessarily what you imagined. Luckily, that wasn’t the case and after talking with each the eight original builders we knew there was a real story to be told. Each of the builders had a completely unique perspective and story to share. In fact, the one person who was a bit reluctant to do an interview ended up having some of the most amazing sound bites. It’s funny because it always seems to happen that way where the person who doesn’t like being on camera really comes through big time when you sit them down for an interview. The pre-interviews gave us a solid idea of the storyline and from there we went on location to interview several of the builders at their homes or personal workshops around the country in places like Texas and Oregon. We had one day with the builders to capture their entire world. We shot on RED. It’s not the ideal documentary and travel camera, but we’re really dialed on the workflow and they did a beautiful job with the portraits, scenics, and guitar details. I especially like the contrast of the 80s VHS archival footage against the 5k RED shots. Lighting was very minimal and limited to portable LEDs and what could be checked on a plane. Texas blessed us with beautiful natural light and an amazing sunrise, but the rest of the trip was mired by once in a decade winter storms, rain, and cold that nearly derailed the shoot because of airports and roads being shut down. Not to mention a bout of the stomach flu that hit some of the crew. The one person who was a bit reluctant to do an interview ended up having some of the most amazing sound bites. One of the biggest challenges was capturing all the archival imagery in one day. In some cases, the guys would have 4-5 large photos albums or in some cases shoe boxes filled with amazing images from the 80s and 90s and beyond. We had to really focus to get through all the photo scans and stay focused on what we needed for our story. It was tempting to scan everything, especially in the beginning not knowing where the story might lead. I love vintage photos, they have a look and color that you can’t replicate. At the end of the day, it all came together and the builders gave amazing interviews and their workshops were a treasure trove of texture and B-Roll footage. I have to shout out the DP, Chris Zamoscianyk, for always finding a unique and cinematic way to capture things. I prefer a documentary style that slows things down and has a more cinematic approach. Also, kudos to Editor Andrew Litten for understanding raw passion these guys had for their work weaving the right balance of emotion and fun from the footage. For me, the most enjoyable thing about making docs is you that you’re granted entry to a world that you wouldn’t normally have access too. I love the first shot of the film where the guy opens the door and invites you inside because I just love that idea of being able to step into another world. Nate said it really well that the Custom Shop is a living testament to the dying art of handcrafted American workmanship. It could very easily be argued that the custom shop crew’s raw passion really revitalized the entire company and brought it back from the brink to the legendary status it enjoys today. 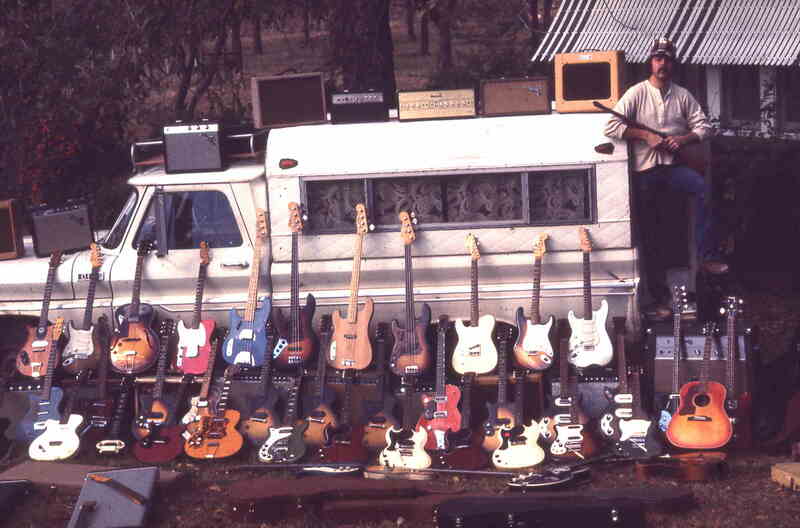 These builders were artists to the core and in most cases are still making and playing guitars to this day. For a filmmaker or anyone who pursues an art form of any sort that’s incredibly inspiring. Check out rosshaines.com and aframescreative.com for more of our work. There are some seriously beautiful guitars shown in this, the 30th anniversary of the Custom Shop. For sure, it’s hard to pick which one I want the most!